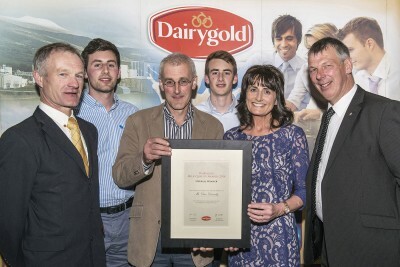 Daniel Dennehy of Clonmoyle, Aghabullogue has been declared Overall Winner of the 2014 Dairygold Milk Quality Awards. The award presentation took place at the Springfort Hall Hotel in Mallow recently where Daniel and his wife Valerie and their two sons Michael and Colm were awarded for consistently supplying the best quality milk of all the processors 3,000 milk suppliers throughout 2014. The 151-acre farm. where Daniel milks 106 cows. was described by the judges as an excellent example of what good management and high standards of production can achieve. Ger Hennessy, Dairygold with Dan and Valerie Dennehy, Clonmoyle, Aghabullogue, Co Cork, winners of the Dairygold Milk Quality Awards. Photo O’Gorman Photography. Speaking at the awards Dairygold Chairman James Lynch said as a business that supplies the food industry, quality is critical for the business. He said this is especially the case with our infant formula business where Dairygold has a good reputation for high quality milk. “The encouraging thing for us is that the quality of our suppliers’ milk keeps improving,” he said. Lynch said in 2014 we not only had record milk volumes but also record highs in our milk quality standards. 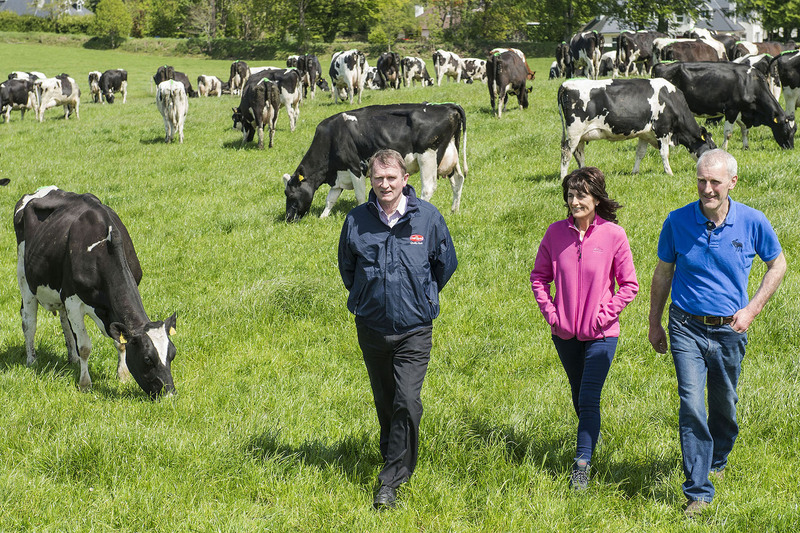 “The Dennehy family and all the finalists can be justifiably proud that of over 3,000 milk suppliers across our catchment area their milk was of the highest quality,” he said. Pictured at the Dairygold Milk Quality Awards are Sean MacSweeney, Dairygold Board Member, winners Daniel & Valerie Dennehy, Clonmoyle, Aghabullogue & their sons Michael & Colm & Richard Hinchion, Dairygold Board Member. Photo O’Gorman Photography. The awards were based on 2014 milk quality data for over 3,000 Dairygold milk suppliers. 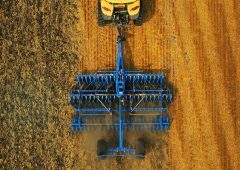 A shortlist of three suppliers was drawn up from each of the six co-ops regions. Those farmers then underwent adjudication by two independent judges, Prof. Charlie Daly, former professor of food micro at University College Cork (UCC) and Mr. Matt Ryan, former Teagasc dairy specialist. The judges visited the farms of all eighteen short listed contestants to review their farm enterprises first hand and choose six regional winners and the overall winner.